Vertigo, dizziness and imbalance can have a variety of causes. Symptoms of vertigo, dizziness and imbalance due to an inner ear disorder can often be improved by vestibular rehabilitation. What Types of Conditions can Benefit from this Therapy? Your first physical therapy visit will consist of an evaluation to identify problem areas. You will receive an individualized treatment program based upon the results of your evaluation and your goals. The treatment program may include specialized exercises to decrease dizziness, balance exercises, education regarding your condition, coping strategies for dizziness, strengthening exercises and/or conditioning exercises. Bring a list of your current medications and eyeglasses (if you wear them). If you are experiencing dizziness, you may need someone to drive you to your appointment. A physician's referral is required for evaluation and treatment within this program. 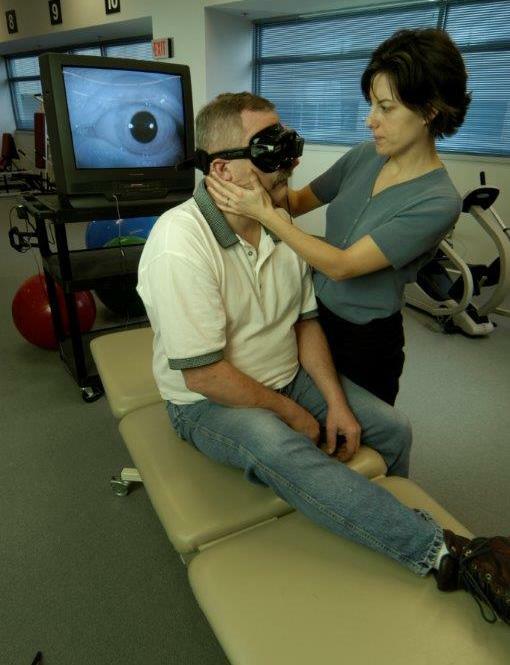 Susan has been a physical therapist since 1983 and has been treating patients with vestibular disorders since 2004. Susan has received extensive and advanced training in Vestibular Rehabilitation from with Ron Tusa MD and Susan Herdman PT, PhD at Emory University, Joseph Furman MD, PhD and Susan Whitney PT, PhD at University of Pittsburgh; Richard Clendaniel PT, PhD at Duke University and Robert Landel PT, DPT, OCS at University of Southern California. Susan is also a member of Vestibular Disorders Association (VEDA) and the American Physical Therapy Association (APTA). Areas of teaching include neuroscience, adult neurological conditions and interventions, and acquired conditions of spinal cord injury, prosthetics and orthotics. Clinical interests are focused in the areas of neurological evaluation and treatment for conditions of spinal cord injury, traumatic brain injury (concussion), stroke, and multiple sclerosis. Intervention specialties include locomotor training with a bodyweight support system (Lokomat) and use of functional electric stimulation (FES).